Barnsley have signed defender Jason Shackell from Wolverhampton Wanderers for an undisclosed fee. 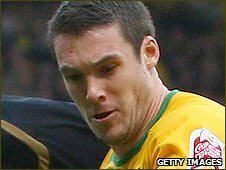 The 26-year-old, who joined Wolves from Norwich on 1 September 2008, has agreed a three-year contract at Oakwell. The Reds have beaten off competition from a number of clubs to bring Shackell to Oakwell, including Doncaster Rovers. Shackell made 23 appearances while on loan at Rovers last season, after falling out of favour at Molineux.